Cy-Hope serves as a catalyst to bring needs and solutions together, bringing hope to at-risk children so they will grow into educated and productive citizens. This will, in turn, make a lasting and positive impact on the community of Cy-Fair. 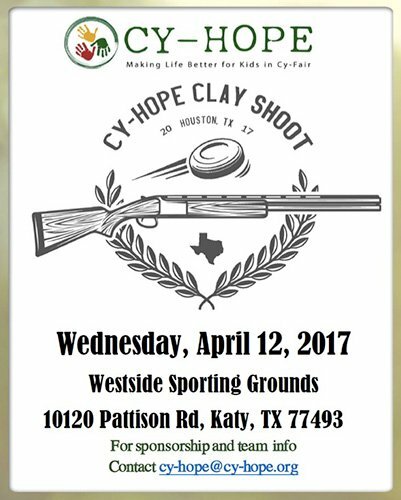 Our vision at Cy-Hope is to rally our entire community: businesses, education, churches, civic organizations, hospitals, and individual volunteers to advance the goal of making life better for kids in Cy-Fair. SBS is proud to sponsor this community event.